"Мир управляется из детской" (Блог. Сибирева Мария.) ("The World is Governed from the Nursery"): Freedom or Loneliness? The second tendency which has been mentioned in the previous message is connected with the granting to children of full freedom. In spite of the fact that the given approach gets more and more supporters, it also has pluses and minuses. Free play when children play and nobody directs them is necessary. A lot of experts prove the free play is the guarantor of the full social and psychological development of children. When we do not interrupt free play, the child develops imagination, tries to solve problems in the imaginative and real worlds. Free play is not always expressed externally by children, the children can “live lives” in their imagination. 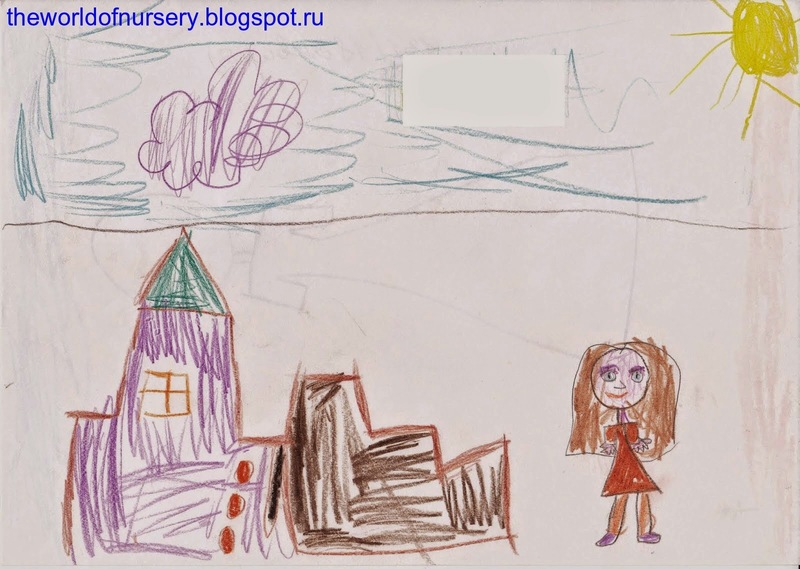 Girl, 6 years old: "Mother, Father and I..."
But first of all, it is necessary to train the child to play independently and it is the duty of parents and other relatives. We can show to little boys and girls how to build of cubes, how dolls can talk, how to play whole stories with toy cars and toy parking. To transfer the initiative to the child, it is possible to interrupt play on the most interesting and intriguing place: the kid will develop the plot further according to his or her desires. 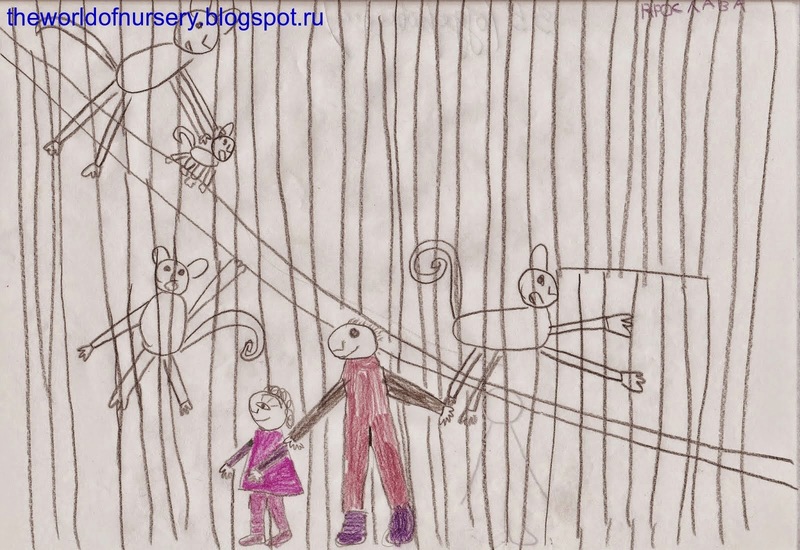 Girl, 6 years old: "My Grandfather and I in the Zoo..."
Let's address to the pictures and interviews of the children and we will see very interesting and important details. If in the pictures received during the researches there are people, we can see that these are the members of the families of the children at the happiest moments in their life. In one of the researches, devoted to how the children and the parents perceive a native city (the parents and the children carried out the same task separately), 25 % of the pictures of the children and the parents have coincided. It means that they remembered very important moments, and they had the feeling of the socially-psychological importance of a concrete place and action. It will be very good, if in the memory of the children the positive events connected with family remain. Girl, 6 years, old: "It is me..."
Despite the positive sides revealed during the researches, there are also some problems demanding attention. First, we can observe so-called "individualization" of childhood when the children represent themselves in the pictures alone. Is it the reflection of the modern tendencies of the social world or the children's loneliness? It is a very important question which is the subject of the further studies (about it, I will write about it in the following post). Secondly, in the pictures and the interviews of the children the mentions of relatives are not enough (especially in the research devoted to the play activity). Play is a very important part of the socialization of children of the preschool age, one of the basic parts of intergenerational relationships between parents and children, between older and younger brothers and sisters, between grandmothers, grandfathers, and grandsons. 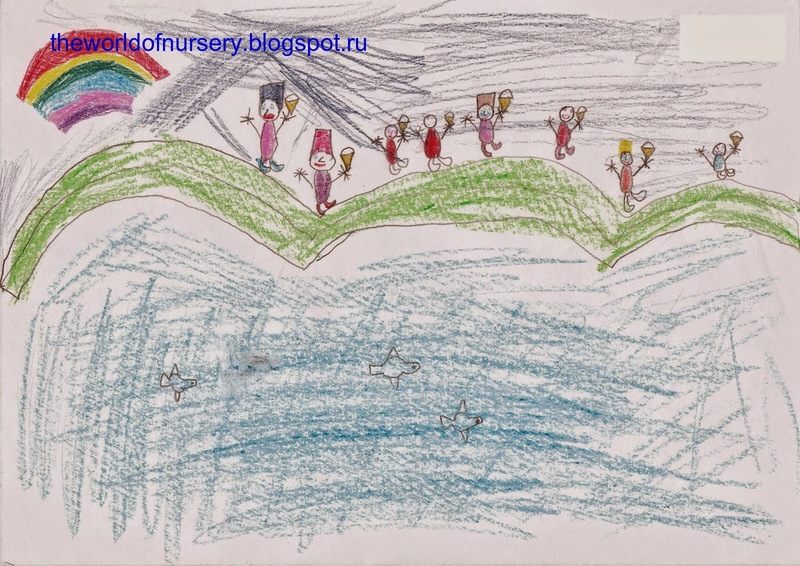 Some parents decide not to participate in the education of children. The percent of the parents, who refuse to fill in questionnaires for the different reasons (including valid), increased from 30 % up to 50 % during several years. In the pictures of the children the given tendency has found reflection - the number of the relatives is insufficiently in the last research. It is very important to remember, that children who feel the lack of attention can have problems with health, difficulties in development and, certainly, in the relationships with peers and other children. Thus, the decision to participate less in the life of the child it is not necessary. Education and control are the systems which are necessary for socialization. In my opinion, there should be more partnership between parents and children. It is necessary to have the balance how many and how to spend time with the child. Owing to it, the freedom will not turn into children's loneliness. 1. "Why Does the Child Prefer to Portray Him(Her)self Alone?" 2.Optimism as the Condition of Survival.